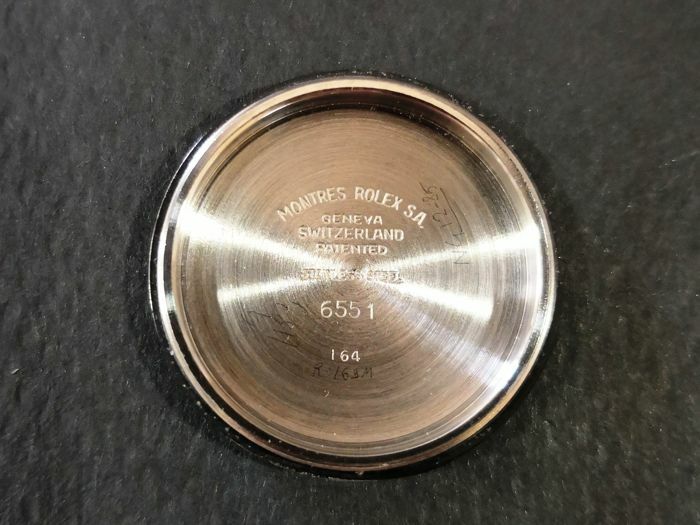 Model Number is: 6551. 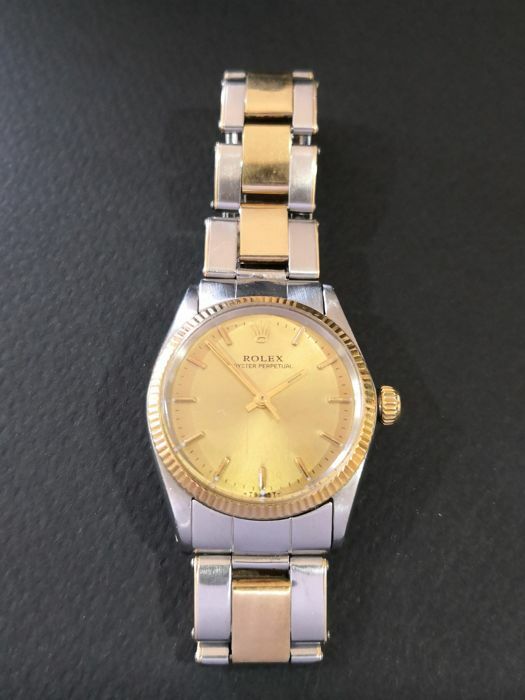 18K Yellow Gold fluted bezel and plastic crystal with stainless steel & 18K gold Rolex Oyster Bracelet. 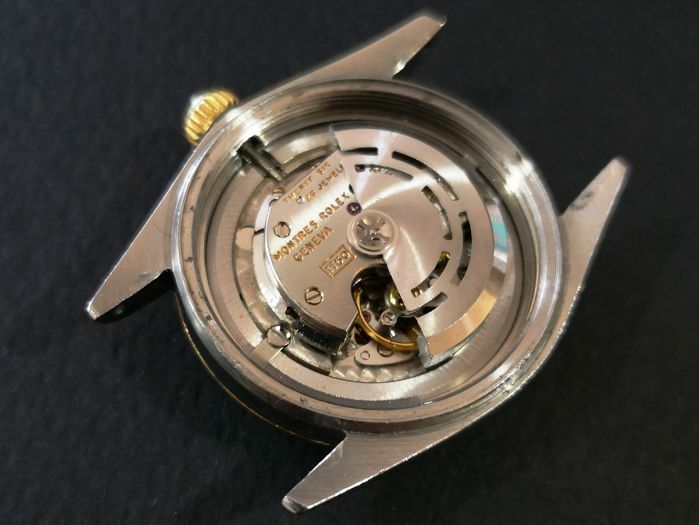 The case is about 30 mm (excluding the crown). 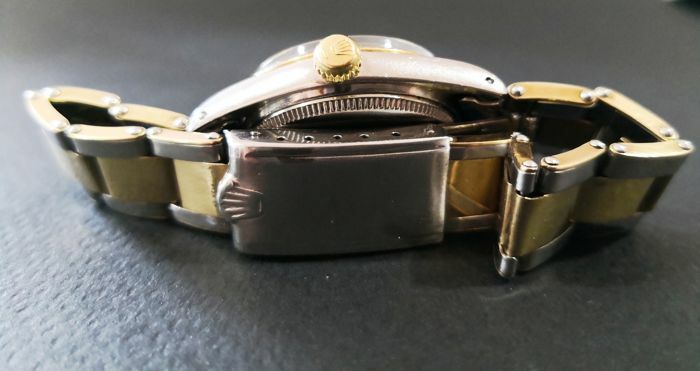 The bracelet is about 14.5 cm excluding the case. 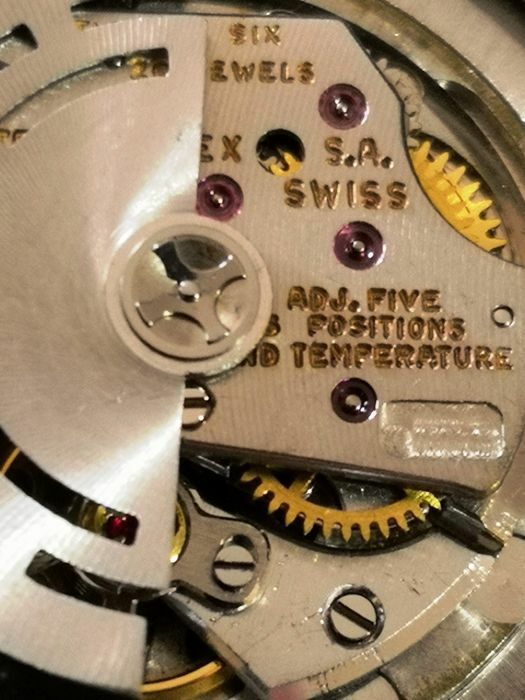 Thickness/Height is about: 10.5 mm. 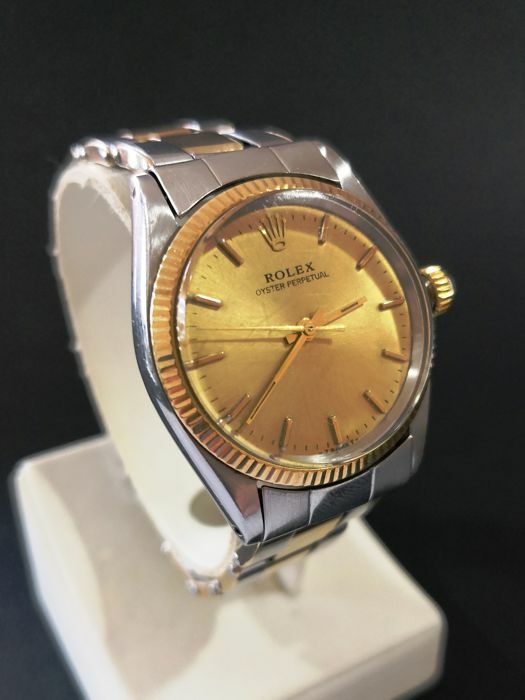 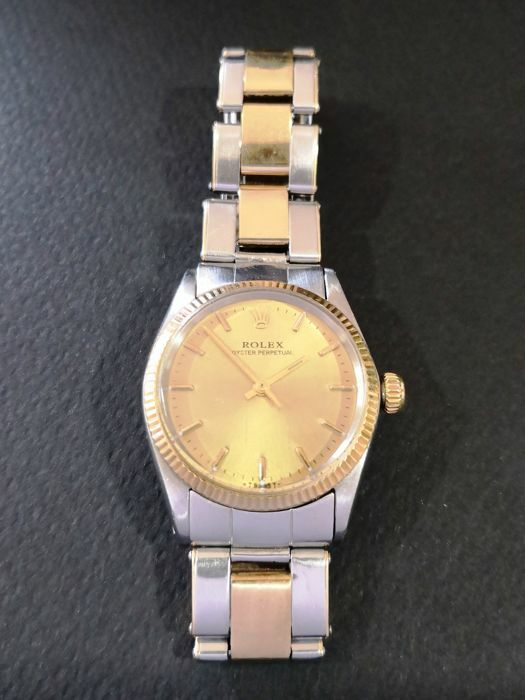 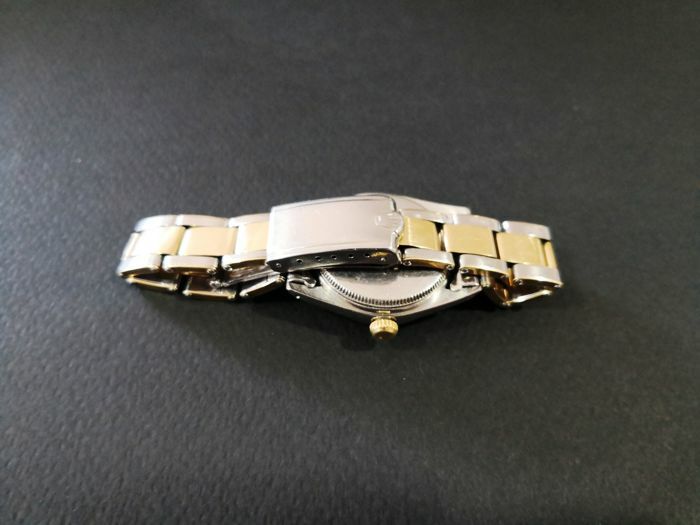 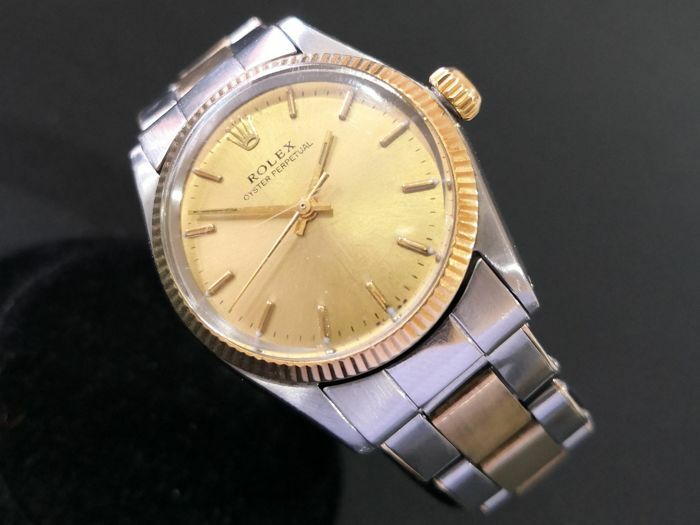 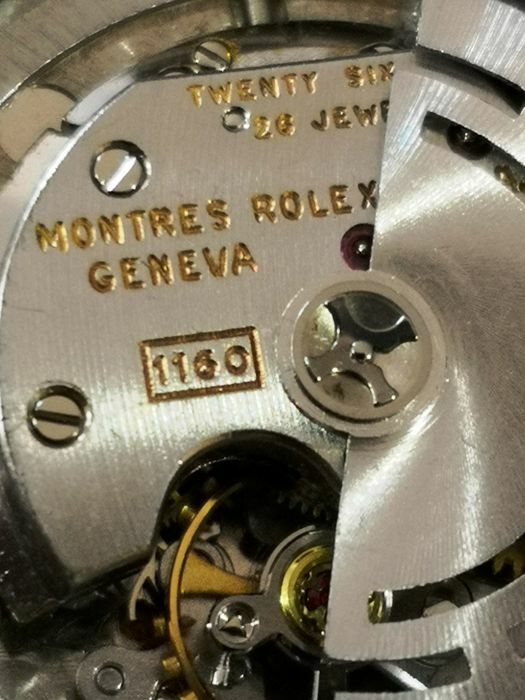 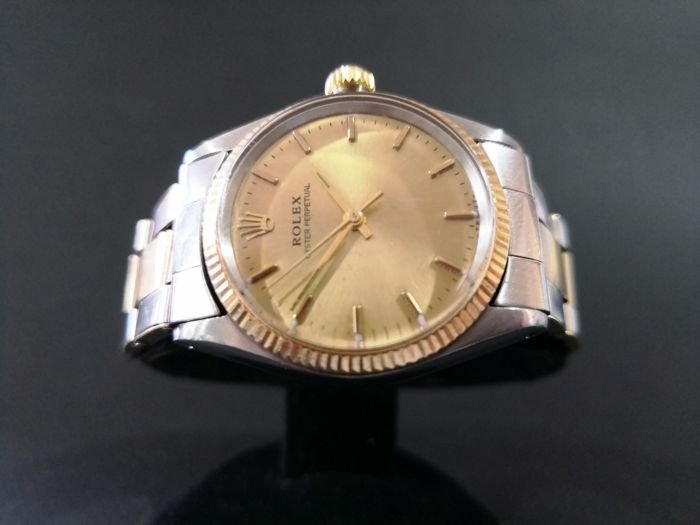 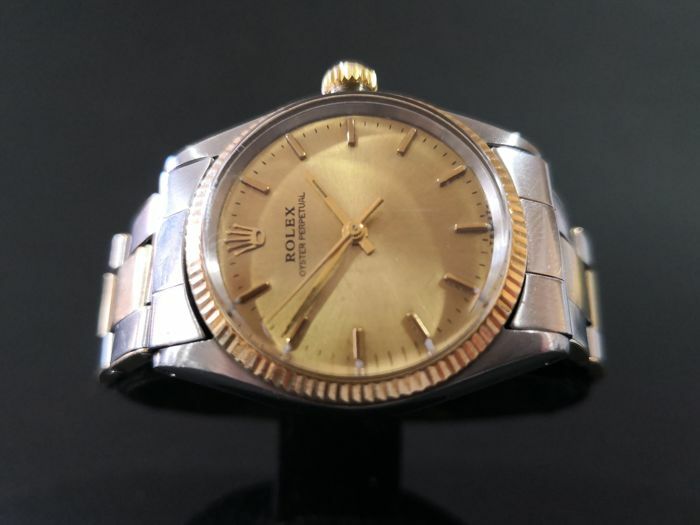 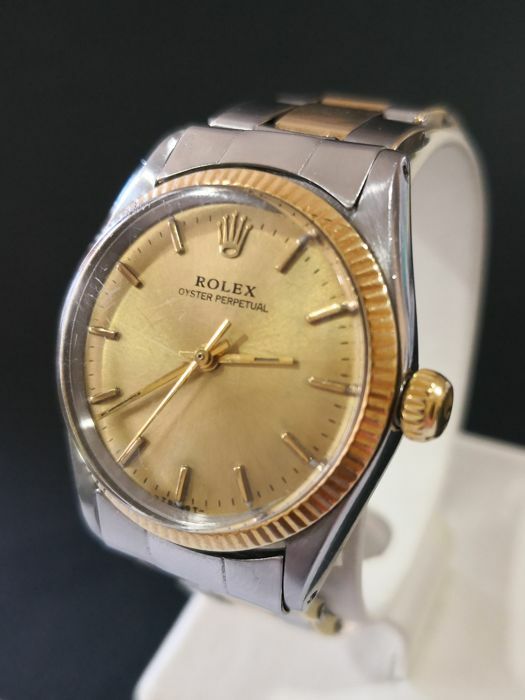 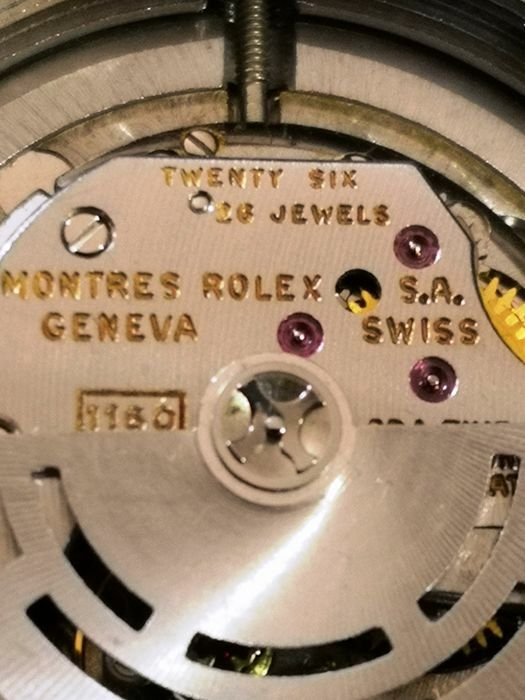 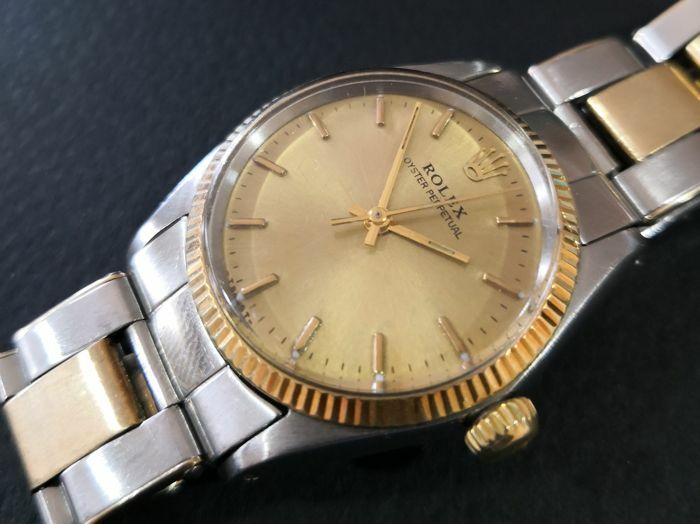 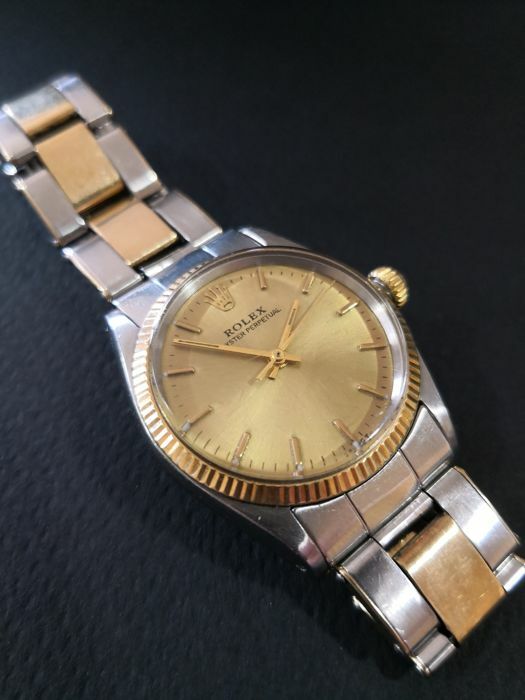 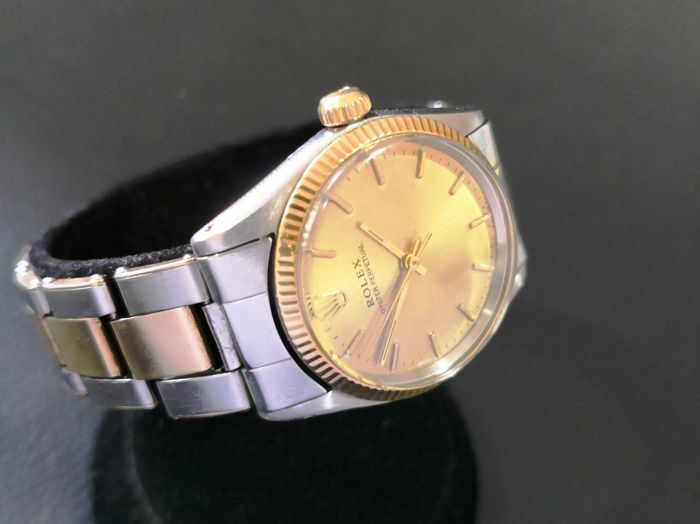 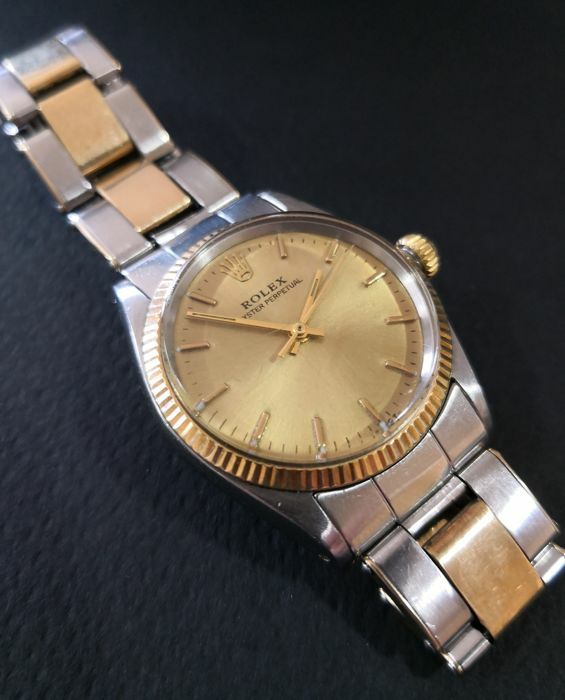 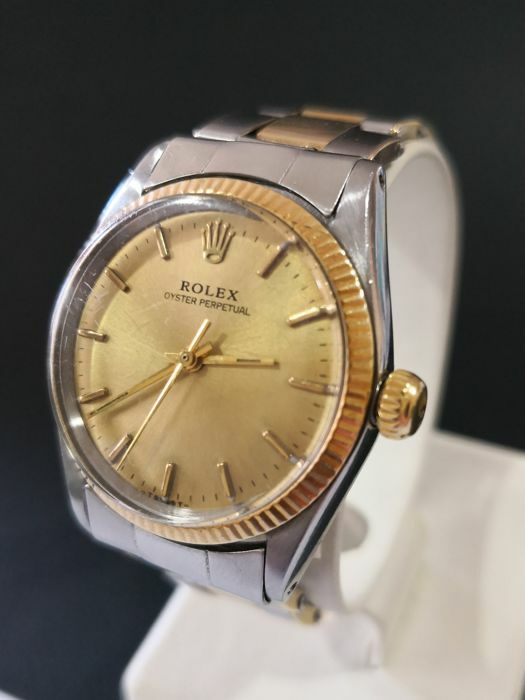 The watch is a used one and in average condition as shown in photos, working properly, There are minimal scratches on the crystal, sides, bracelet, clasp, and back of the the case. 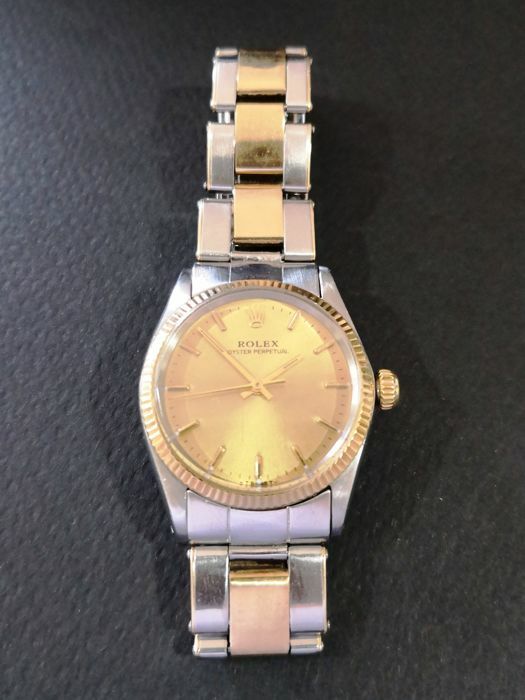 All photos you see above are original photos of the actual watch. 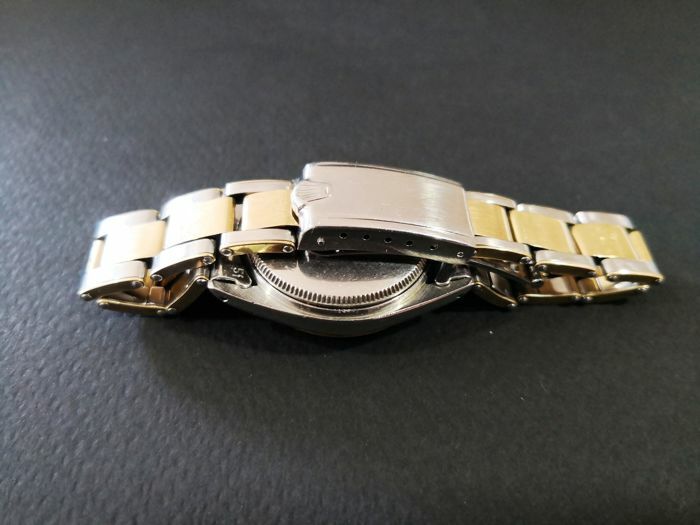 The postage include the watch only so no any extras. 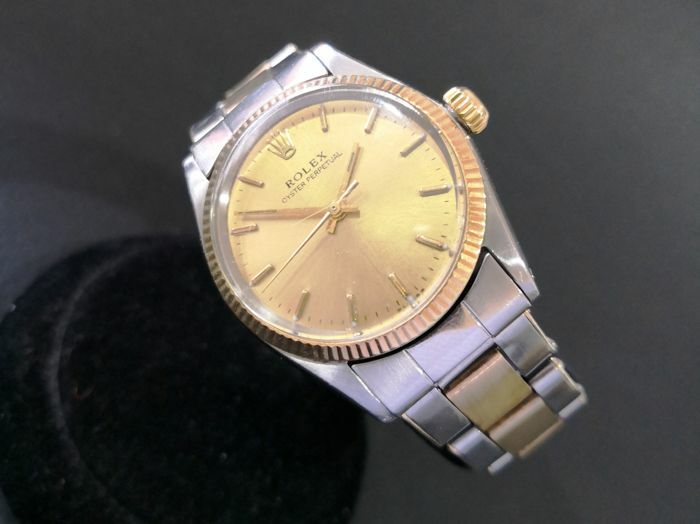 Our shipment partner is Dhl Express (the tracking number will be added to the web-site) for a fast and secure delivery.